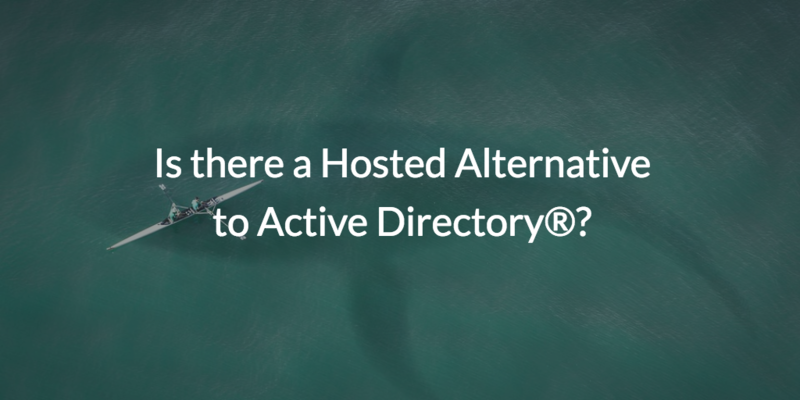 Is there a Hosted Alternative to Active Directory®? Home » Blog » Is there a Hosted Alternative to Active Directory®? What technologies exist that are alternatives to Active Directory®? Is there a hosted alternative to Active Directory? By hosted, we mean is there an Active Directory in the cloud or Active Directory as a Service? Isn’t Azure Active Directory a cloud version of Active Directory? These are great questions, but unfortunately, there isn’t a formal product that is Active Directory as a service. You can occasionally find providers that will do a hosted version of AD, but this is effectively just a server instance that has AD loaded onto it. Let’s take a moment to look at why this isn’t the solution IT admins are really looking for. As mentioned above, there are some providers that host an Active Directory instance. But these options aren’t using a true “as-a-Service” model. This means that IT admins don’t get any of the benefits of a truly hosted solution or SaaS-based approach. Instead, they are responsible for the upkeep and on-going maintenance of the platform despite it being delivered as-a-Service. AWS Directory Services is an excellent example of this. It functions as a version of Active Directory that is hosted at AWS but is managed by the IT admins. The other issue with a cloud Active Directory has to do with Active Directory itself. The conventional approach of Active Directory works for on-prem, all Windows environments, and utilizing a hosted Active Directory instance doesn’t change this. So, IT admins are still faced with the networking challenges of managing a cloud-forward environment with a directory service that wasn’t built for this modern era. Because of these significant issues with shifting Active Directory to the cloud under a hosted model, IT admins are looking for a different approach to the directory service. They are looking for an approach that is just as comprehensive as AD was in the past. However, they want identity management delivered as a service, and they want their identity provider to integrate with modern IT resources. If you’re looking for this approach to directory services, JumpCloud Directory-as-a-Service is the solution you have been searching for. This next generation IDaaS platform is Active Directory reimagined for the cloud era. JumpCloud Directory-as-a-Service is a cloud based directory service that is for cloud, on-prem, and remote resources. 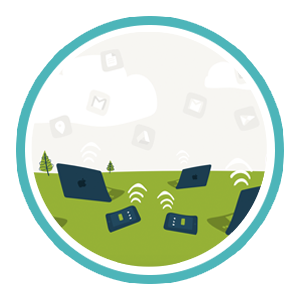 Additionally, JumpCloud takes an approach that is cross platform, multi-protocol, provider independent, and location agnostic. 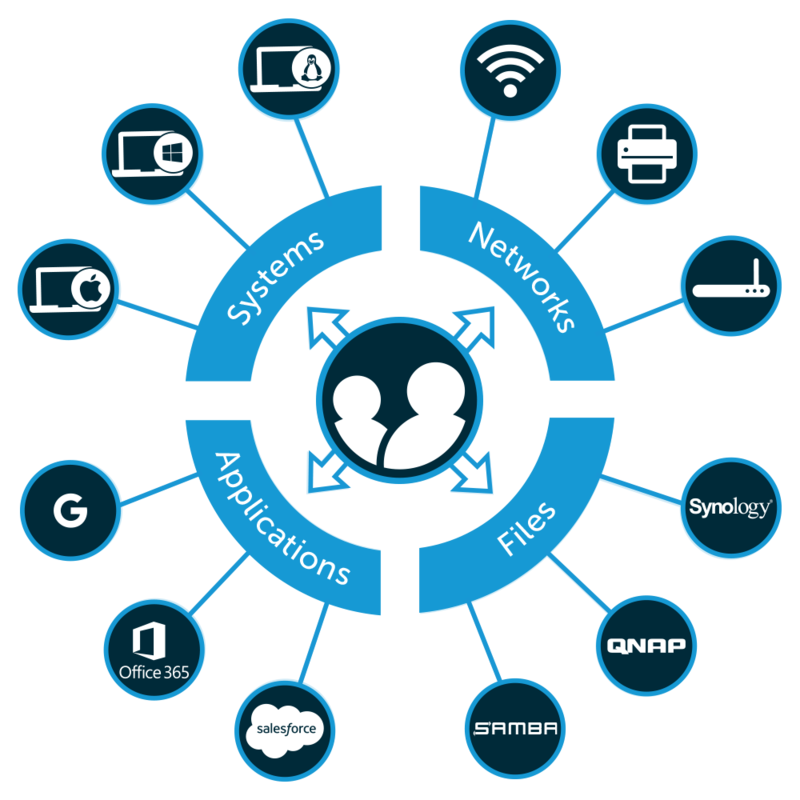 This makes it possible for IT admins to centralize user authentication to all IT resources with just one solution. For users, this means they only need one set of credentials to connect to their systems (Mac, Linux, and Windows), legacy and web-based applications (via LDAP and SAML), physical and virtual file storage (via Samba), and wired and wireless networks (via RADIUS). For IT admins, this means they can securely manage their whole IT environment from one pane of glass. 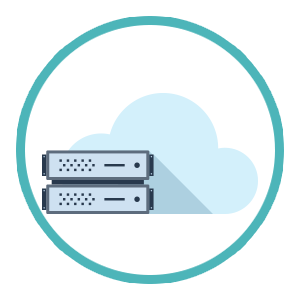 Because JumpCloud is delivered as-a-Service, JumpCloud takes care of the maintenance, management, availability, and configuration. You simply get to enjoy an efficient environment for managing users and IT resources. If you would like to learn more about a hosted alternative to Active Directory, please reach out to us. Interested in trying our Active Directory replacement? Test our whole platform by signing up for a free account. Your first ten users are even free forever. If you need any help along the way, check out our YouTube Tutorial playlist and our Knowledge Base articles.